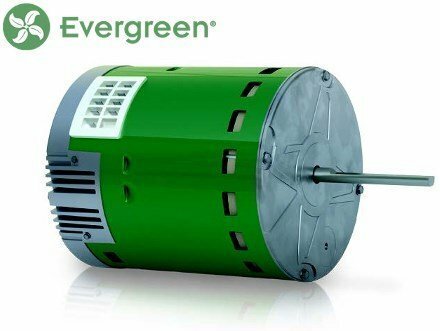 Evergreen EM X-13 Direct Replacement Motors...No programmaing required , designed to replace ALL X13 Style Constant torque ECM Motors. 5 discreet speeds available using 24VAC (3 using 18VDC) , always energized providing the ability to adjust airflow for faulty duct systems and designs. Fully encapsulated, one-piece design offers lower profile and easy installation. Bi-directional CW and CCW with rotation sensing technology. Replaces / Supersedes: 1/3 HP X13 Constant Torque Motors from ALL Major Manufacturers matching these specifications; as well as the Azure Digi-Motor # 10800.